Tim Don, the professional triathlete from Great Britain and the world record for the fastest Ironman finish (7:40:23 to be exact), was struck by a car during a training ride in Kona days before the World Championship. He is finally free from the Halo. 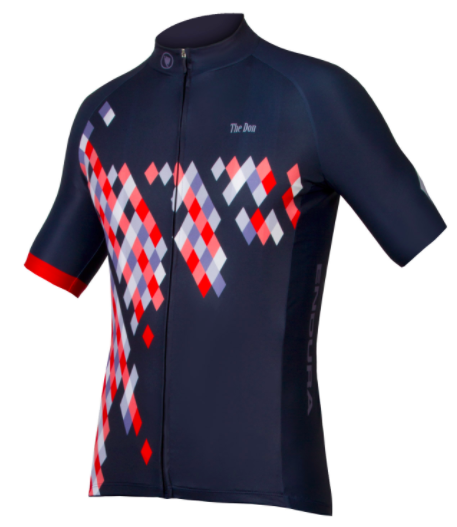 To help with his expensive journey to recovery, the Scottish clothing brand Endura has offered to help by custom designing and selling a kit called "The Don". All profits will go towards Tim's medical expenses. Here's your chance to score a cool kit and help someone out. Check it out here. Ok, so I don't have time to read books, BUT this one resonated with me. The book is written by Matt Dixon, founder of PurplePatch Fitness who coaches pros (Jesse Thomas, Sarah Piampiano) and many age groupers. The draw for me in this book is Matt's thesis that you don't have to train more than 10 hours to get a PR in long distance triathlon if it's done right (What?!? You heard it right!). 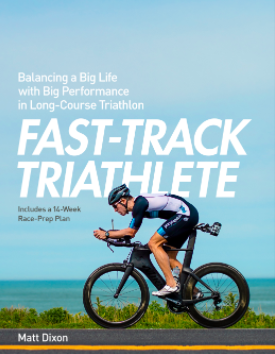 The book shows you how, including training plans that you can tailor to your needs for 70.3 and 140.6. I buy most things from Amazon but you can get the book directly through PurplePatch as well. Enjoy! That's all folks! Now get out there and crush it this week! Read about my reflections on the Wildflower Experience weekend - a strong comeback for a legendary event! Find out how to get the most out of a 60 minute bike session. "Ask not what your country can do for you, ask what you can do for your country." Check out the exciting sponsorship of the TWF. Your purchases on our website helps support the families of those who serve for us.